China Eccentric Reducer Manufacturer www.steeljrv.com offers ASME B16.9 ASTM A10S3 WP304L SMLS Eccentric Reducer, DN150 – DN100, SCH10S. China Elbow Manufacturer www.steeljrv.com offers ASME B16.9 ASTM A403 304L 30DEG Elbow, 12″, SCH60. 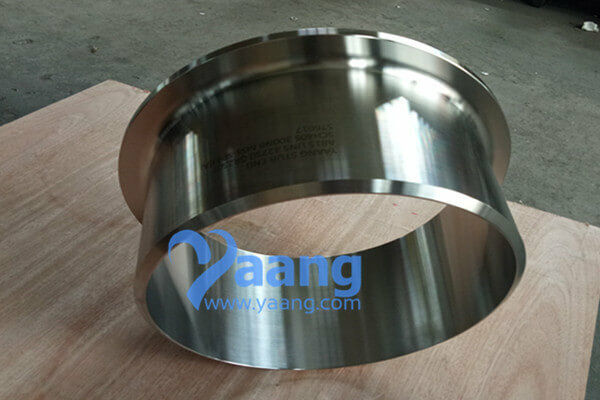 China Concentric Reducer Manufacturer www.steeljrv.com offers ASME B16.9 ASTM A403 WP316L SMLS Concentric Reducer, 3″ – 2 1/2″, SCH10S. China Reducing Cross Manufacturer www.steeljrv.com offers ASME B16.9 ASTM A403 304L Reducing Cross, 2-1/2″ × 2″, Sch40. China Concentric Reducer Manufacturer www.steeljrv.com offers ASME B16.9 ASTM A403 WP347H SMLS Concentric Reducer, 10″ X 8″, XXS. China Stub End Manufacturer www.steeljrv.com offers ASME B16.9 ASTM A403 WP316L SMLS STUB END BW, DN250, SCH10S. China Concentric Reducer Manufacturer www.steeljrv.com offers ASME B16.9 ASTM A403 WP316L SMLS Concentric Reducer, 12″ – 6″, SCH40S. China STUB END Manufacturer www.steeljrv.com offers MSS-SP43 (A) ASTM A815 GR2507 STUB END, 12 Inch, SCH40S. China Concentric Reducer Manufacturer www.steeljrv.com offers ASME B16.9 ASTM A403 WP347H SMLS Concentric Reducer, 14″ X 12″, SCH160. China Elbow Manufacturer www.steeljrv.com offers ASTM B16.11 A182 F53 45 Degree SW Elbow, 1″, 3M.